For the past 33 years, Temple Sinai has participated in Union County’s Interfaith Hospitality Network, now a program of Family Promise. 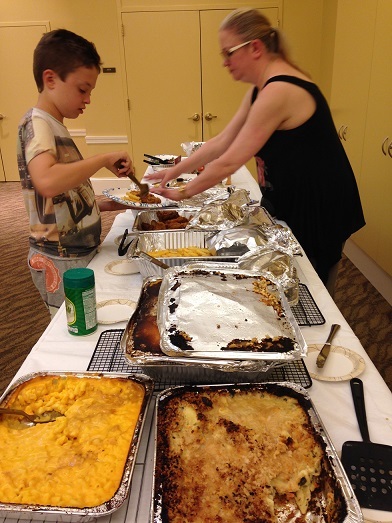 Each year, for a minimum of two weeks, Temple Sinai provides hospitality to approximately six homeless families with children ranging in age from toddlers to teenagers. Guest families are screened by Family Promise of Union County, a non-profit organization dedicated to improving the quality of life for the area’s homeless families by helping them obtain safe and affordable housing and by promoting personal development, and self-sufficiency. During our hosting period (which is typically scheduled for consecutive weeks during the summer), Temple Sinai becomes a temporary home for these families. They are treated as our guests and congregants volunteer by providing these families with basic human needs--shelter, safety, and sustenance-- with a spirit of warmth and hospitality. 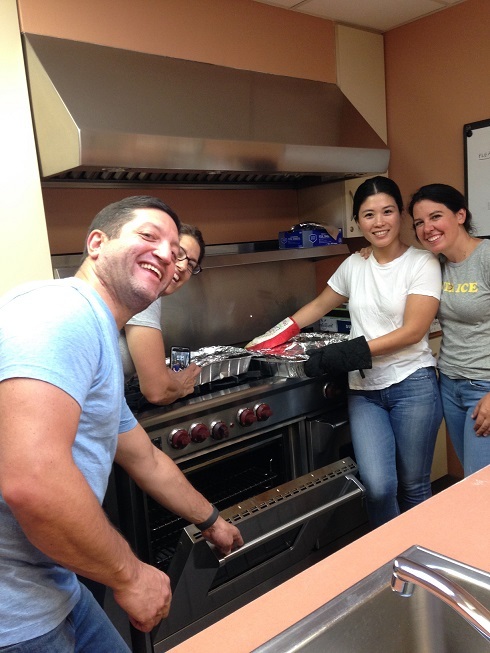 There are many Temple Sinai members who regularly volunteer, but more volunteers are always welcome and needed. Volunteers help to convert rooms on the third floor into inviting bedroom spaces and transform the Social Hall into a makeshift dining room and playroom for the children. Volunteers also provide the evening meal, friendly conversation, groceries for breakfast and lunch, and stay overnight with the guests. This is a unique opportunity for children to volunteer with their parents or grandparents. We look forward to your participation in this important program! For more information, please do not hesitate to contact Roxanne Kam at izzkam@aol.com, Norrie Kurtz at norriekurtz@gmail.com, and Sandi Raimer at sandi_singer@msn.com.